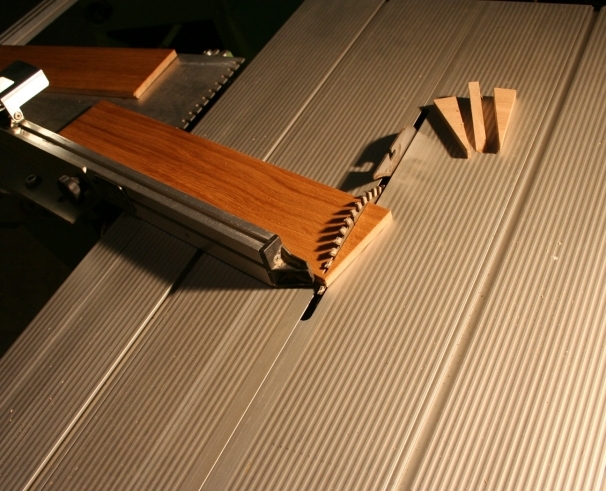 The circular saw is used to cut the wood precisely. Two pieces of bulkhead B fitting quite well. Now it's time to prepare the epoxi. 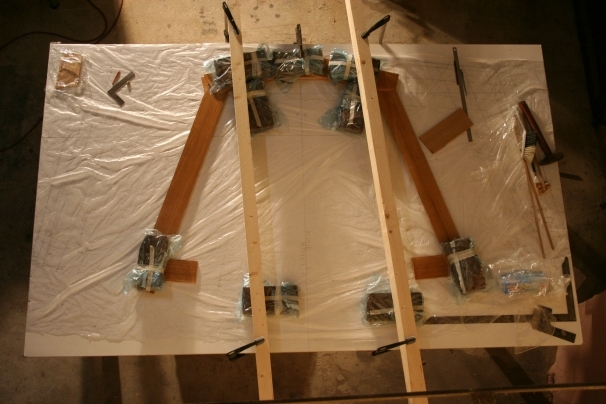 Therefore the table is wrapped by plastic to protect the drawing. Bulkhead A and B are almost ready! 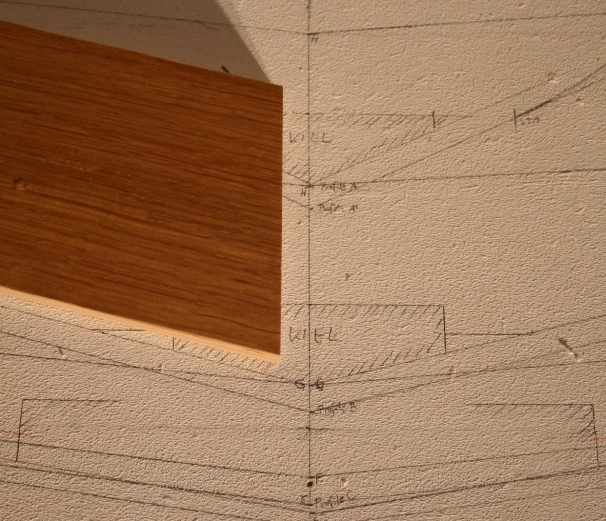 Bulkhead A is rather simple to build - instead of bulkhead B and so on. 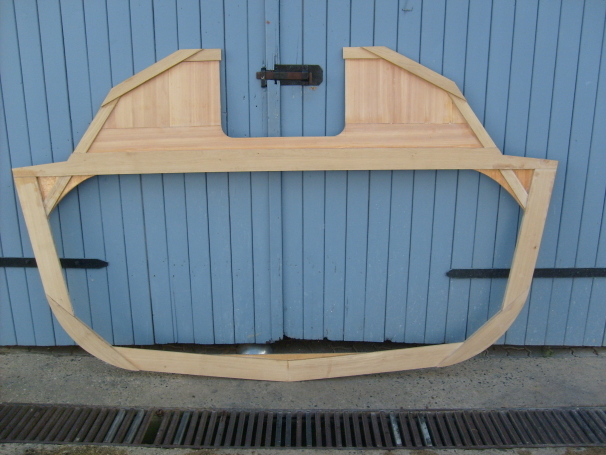 Bulkhead C and the following ones are better to be build in two sections. First the lower part, than the upper one. 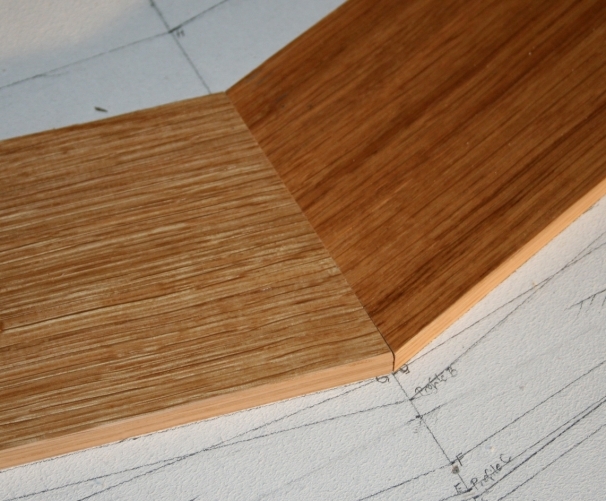 Bulkhead C is made out of three layers of oak. 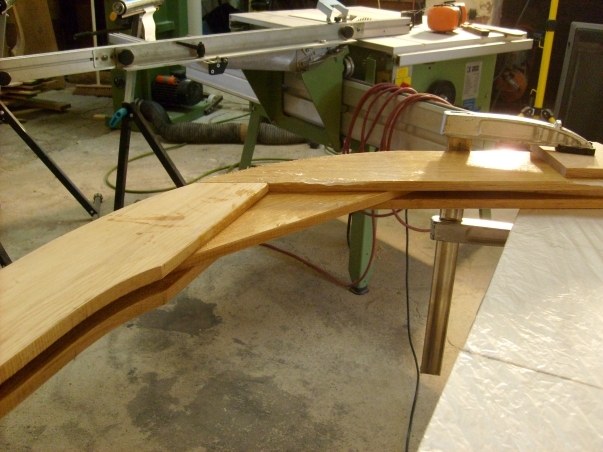 Veneers of larch are arranged on the drawing table. 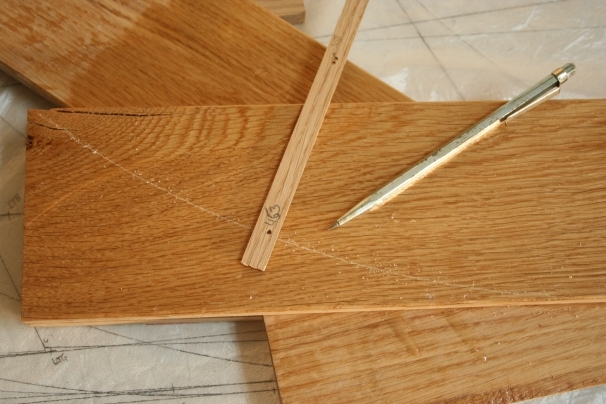 These veneers are to be prepared to build up bulkhead E. The lines help to arrange the different pieces later on when using the epoxy. 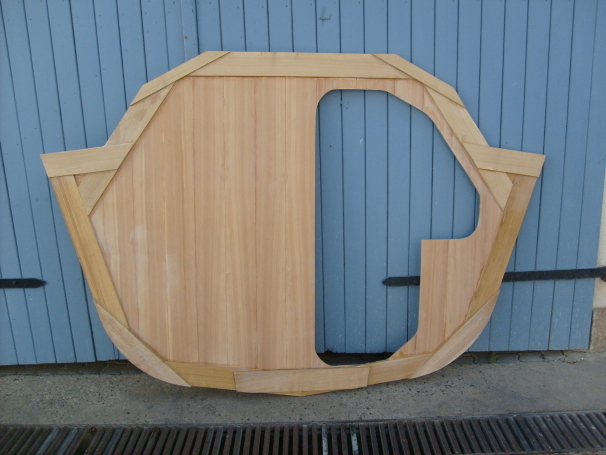 This selfmade plywood will be part of bulkead D.
Bulkhead D almost finished. 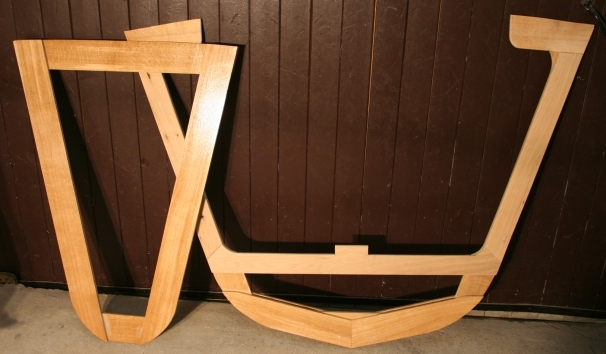 It's quite heavy due to the oak frame. I decided for this heavy construction because bulkhead D plays an important role within the whole construction: The keel box will be fixed here, in addition the wires holding the mast will be fixed near this bulkhead. 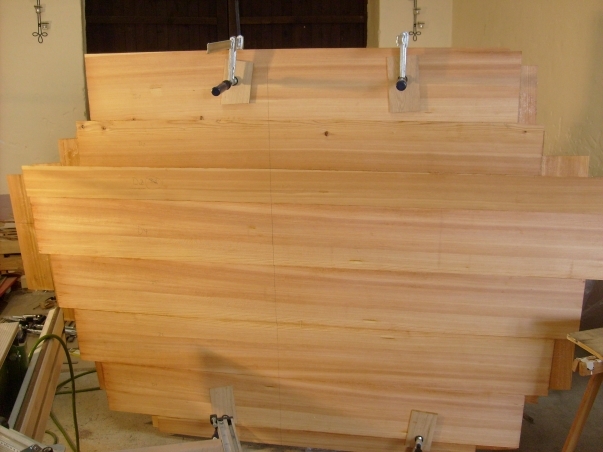 In case that the keel gets in touch with the ground big forces or momentums will be transmitted onto bulkhead D. The heavy construction provides some additional safety for this case. Bulkhead G is a little bit more complicaed than the rest. 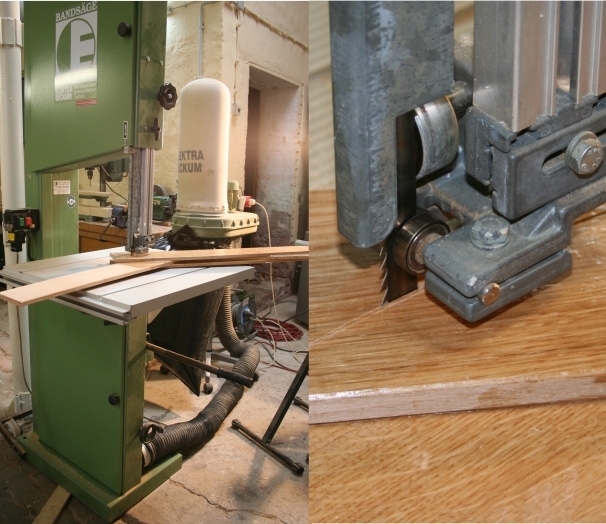 The frame made out of oak wood is at least 20mm strong. This provides the big opening underneath the cockpit. 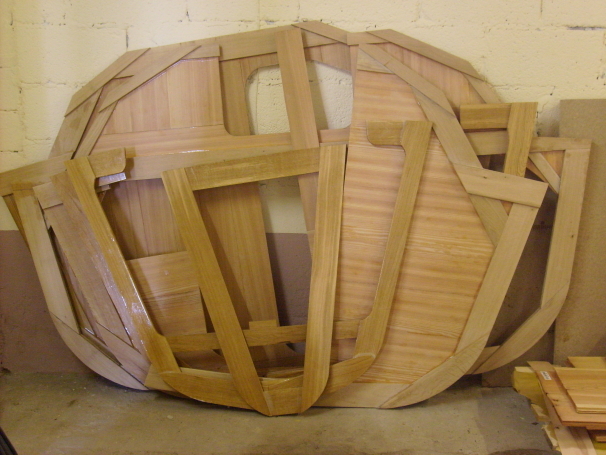 This picture shows some details from bulkhead D and G.
The collection of bulkheads is almost complete now. 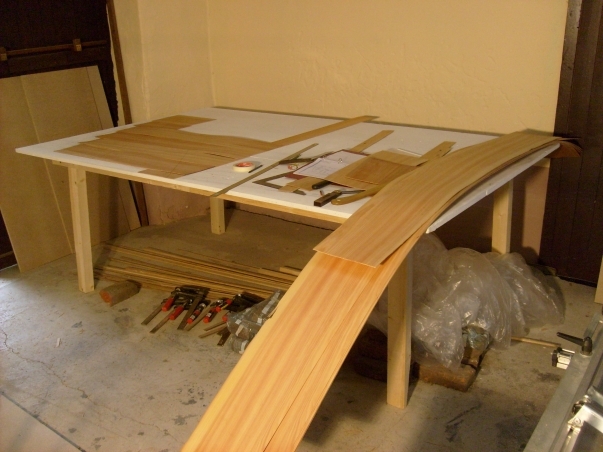 It's quite time consuming to make all the playwood and frames by myself. 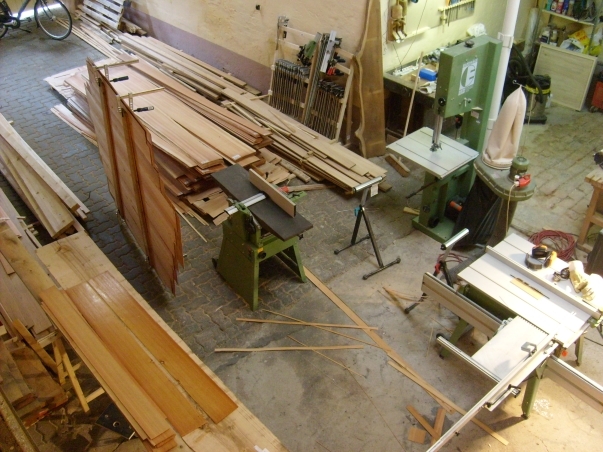 But it's also satisfactory to work with "real" wood! 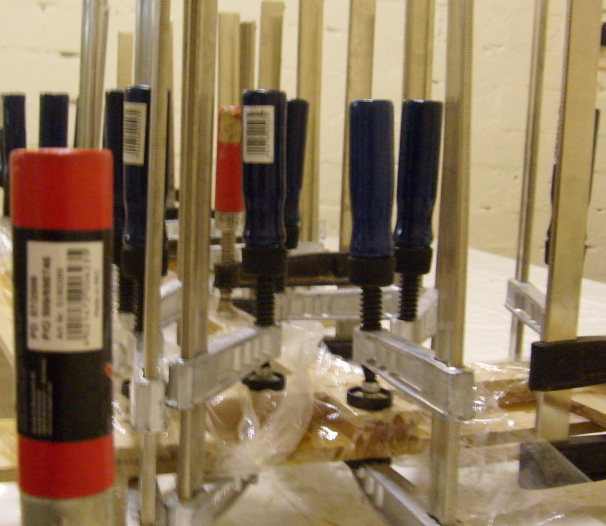 Here you can see an example when it is recommended to have many clamps. 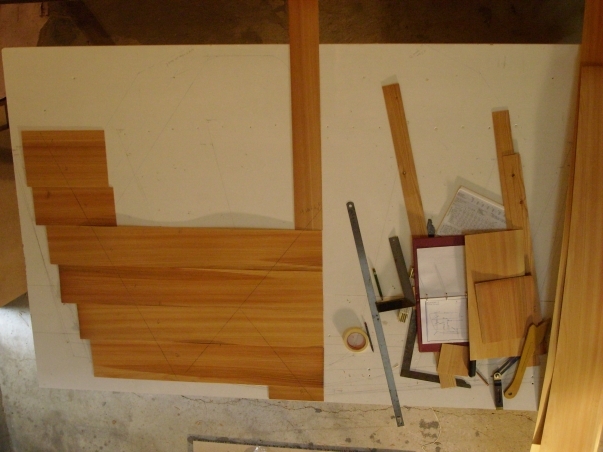 The picture shows the doubler for the transom. 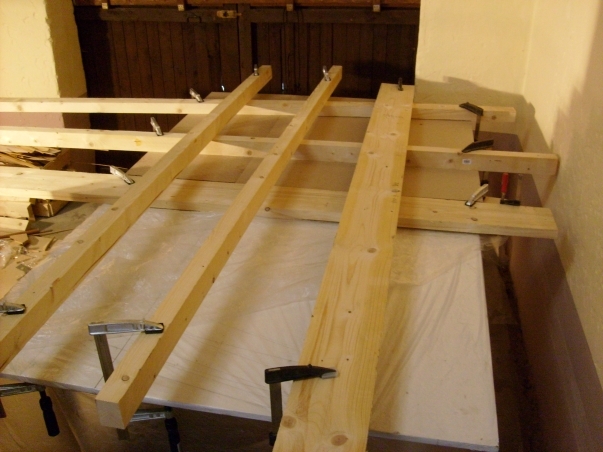 The pieces of polythene sheets help to aviod that clamps are glued.